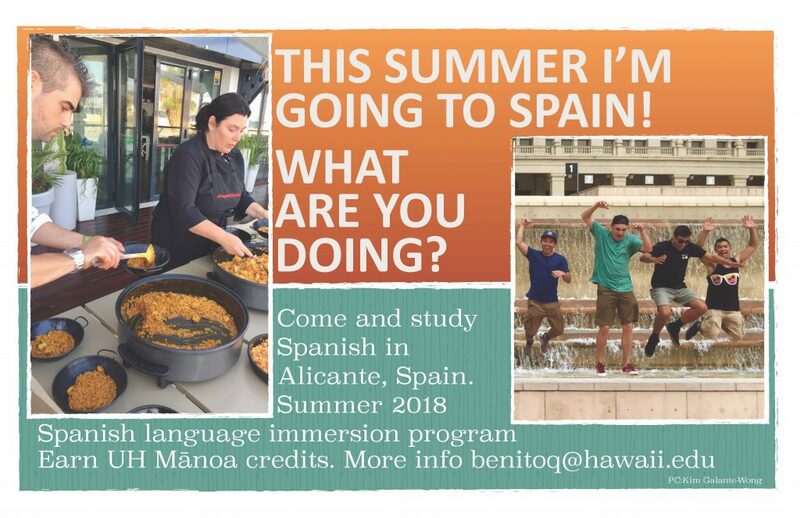 It is strongly recommended that all Spanish language students study overseas during the summer in a UH Mānoa Spanish Language Immersion program. 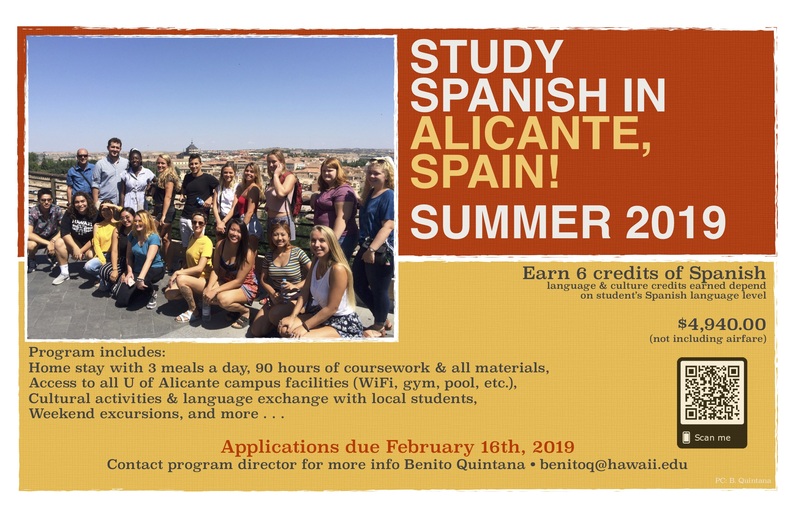 Students taking Spanish 201 and Spanish 202 may complete their HSL requirement abroad. 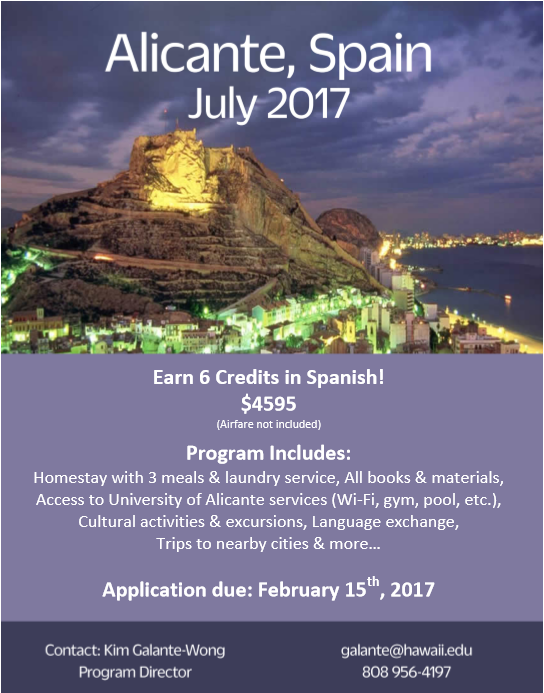 Spanish Certificate students and Spanish Majors (BA) are strongly encouraged as well to apply to earn 6 credits of advanced Spanish (300+). Recent Spanish Immersion programs have been at universities in Costa Rica (San José) and in Spain (Alicante and Salamanca). 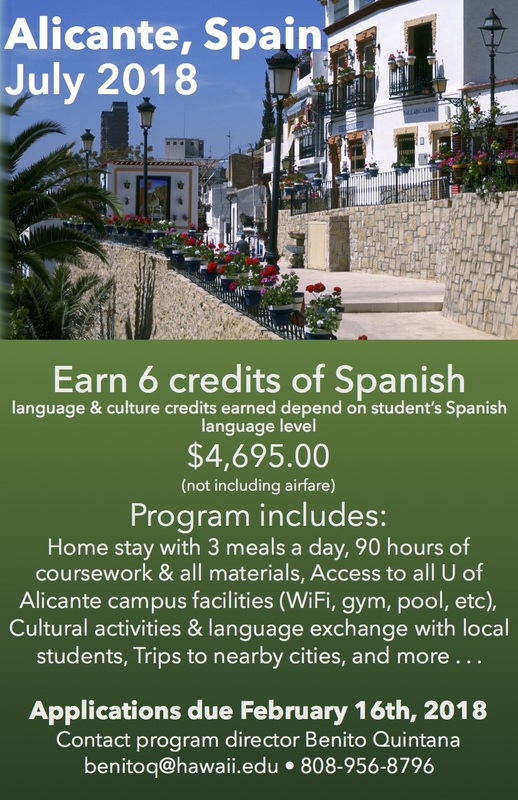 For summer 2019 we are once again promoting a language immersion program in Alicante, Spain. The program will run from June 29th, to July 29th, 2019 (classes begin on July 1st). Go here to apply to The Alwine & Jesse Doyle European Language Study Abroad Scholarship. 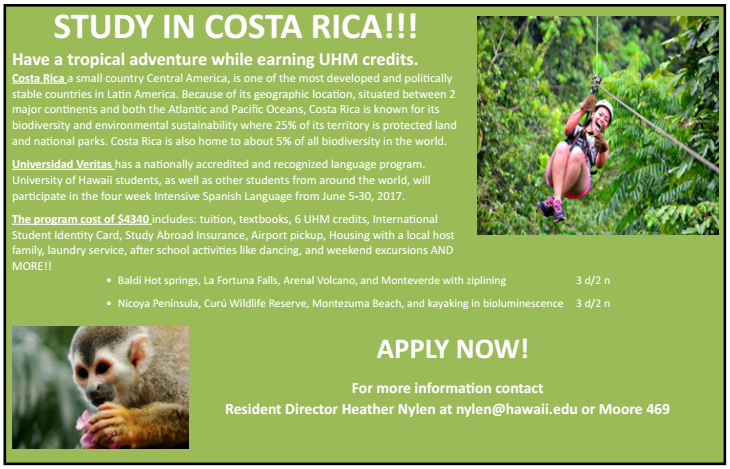 The ASUH also offers a study abroad scholarship and you can find out about it by going here. Other funding opportunities can be found at the SAC site.